Clint Dempsey scores the only goal of the match in the 78th minute on an assist by Lake Forest Park’s Henry Wingo in the opening leg of the Champions League quarterfinals against Chivas of Mexico. His team had sent Henry Wingo out on the pitch late in this electrifying game with one goal in mind: taking the energy level even higher. No small order for a Lake Forest Park product in just his second year with a Sounders team he quickly repaid for its confidence in him. 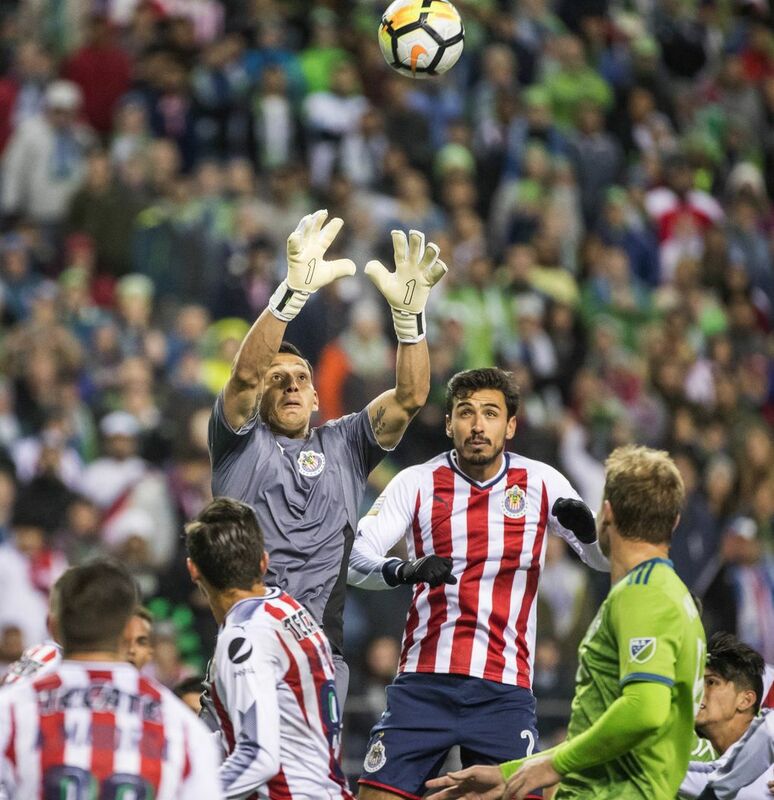 Wingo needed all of six minutes to find Clint Dempsey with a perfect cross for the eventual winning goal of a 1-0 victory over Chivas in the quarterfinal opener of their CONCACAF Champions League series. By the time this Wednesday night thriller was done, in front of 42,885 fans at CenturyLink Field evenly split in rooting for both sides, the Sounders had used three ex-University of Washington Huskies in the game. 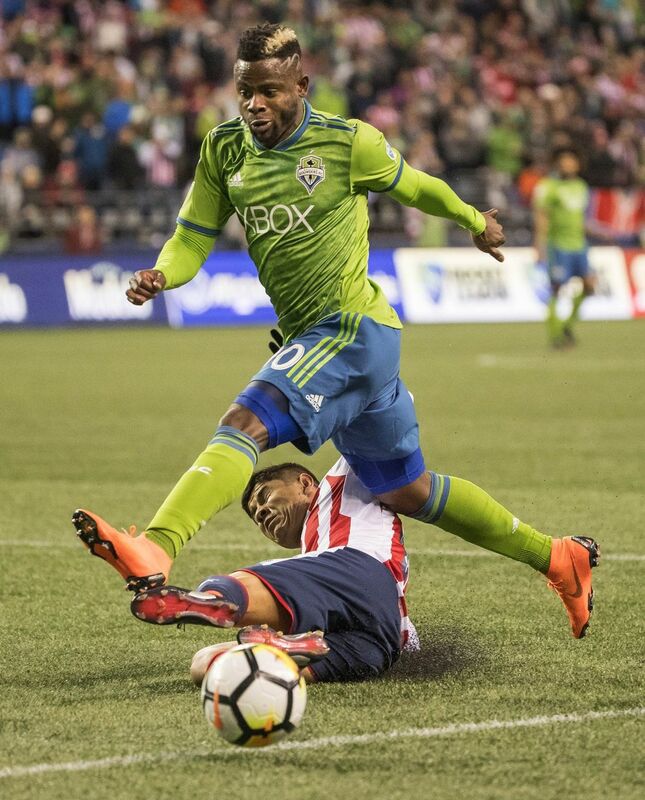 Among Wingo, Handwalla Bwana and Cristian Roldan – with Federal Way’s Lamar Neagle thrown in for good measure late – the Sounders were well represented on the local front in one of their biggest international victories ever. 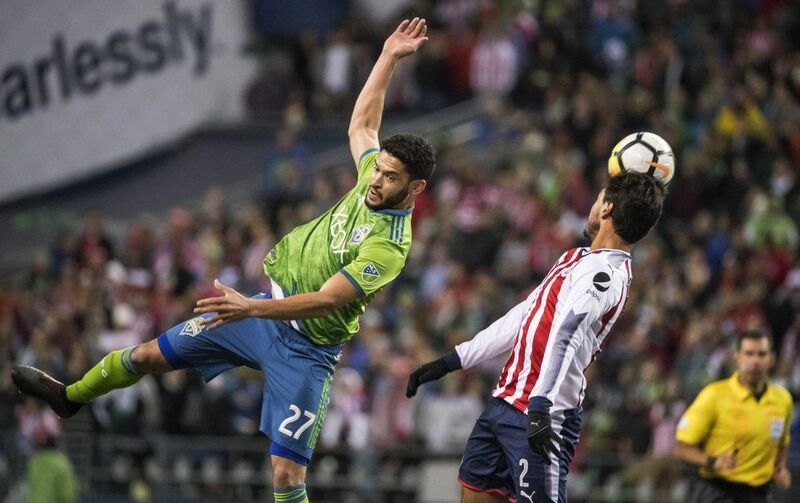 Developing homegrown and talented young American players has been one of the keys in the Sounders and other Major League Soccer teams narrowing the gap with Liga MX squads. No MLS team has won the Champions League since it was reformatted in 2008, but the Sounders, Toronto FC and New York Red Bulls are all leading their quarterfinal rounds after the opening leg. The Sounders play the second leg in Guadalajara next Wednesday with a chance to knock off Mexico’s most popular team. 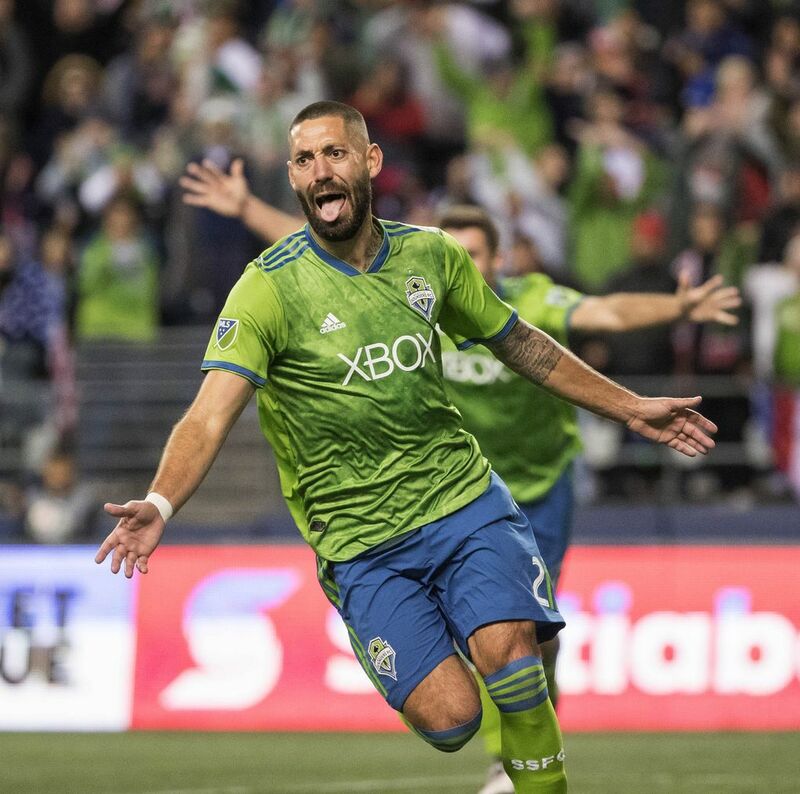 “I thought it was an exciting game for the fans to watch because it was end to end,’’ Dempsey said of the fast-paced affair, played in front of the largest Champions League home crowd in Sounders history. That the Sounders were up to the challenge was impressive, given this was their third match in six days. 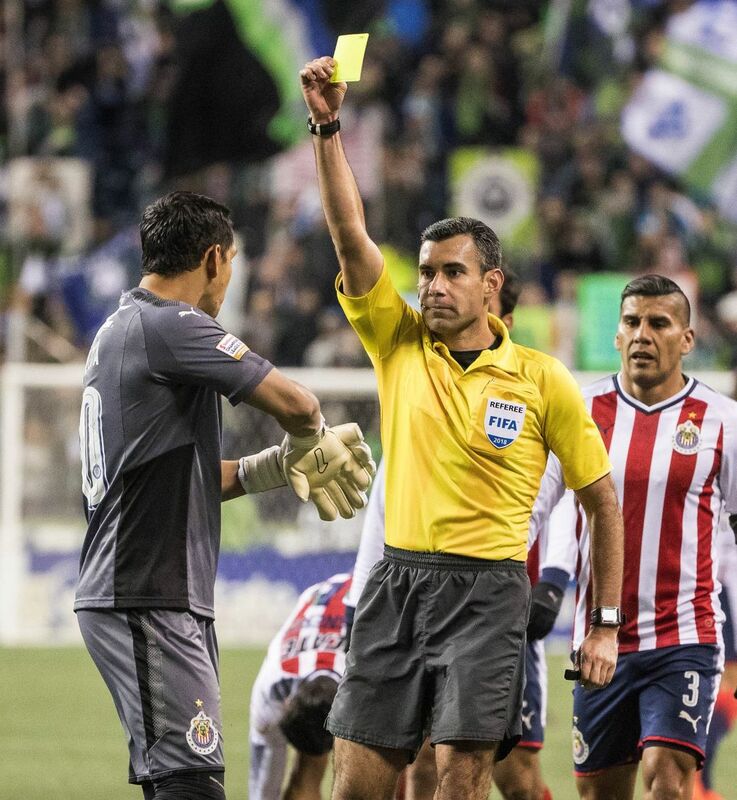 Chivas has already played 10 regular-season matches and arrived here in midseason form, but they were the ones wearing down as the game progressed. 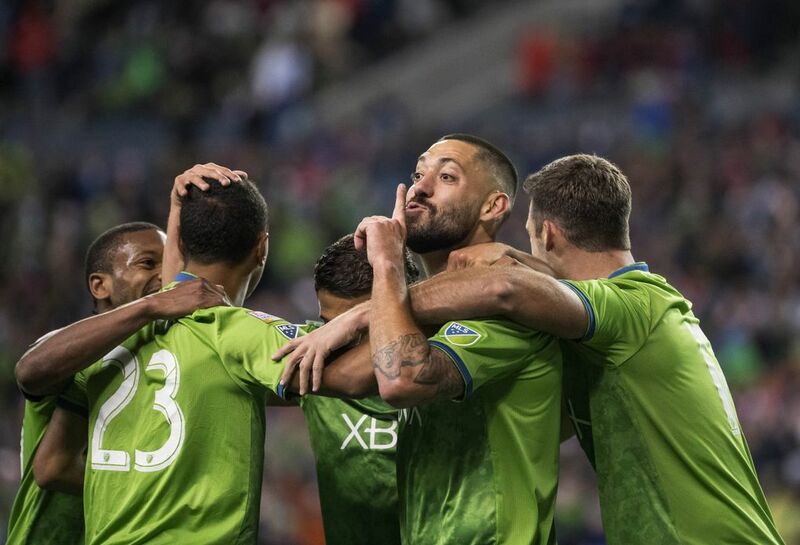 By the time Wingo found Dempsey, the Sounders had already seen Gustav Svensson hit the post and Dempsey fire one over the net just moments before his 78th-minute strike. Sounders coach Brian Schmetzer was elated with the way his team responded from the outset. 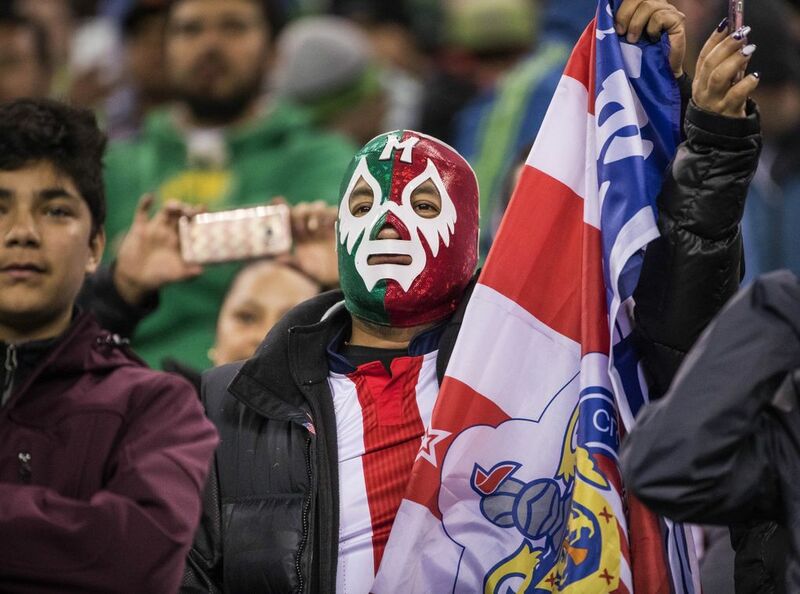 Chivas had played a plethora of games the last two weeks and endured a long flight to get here. 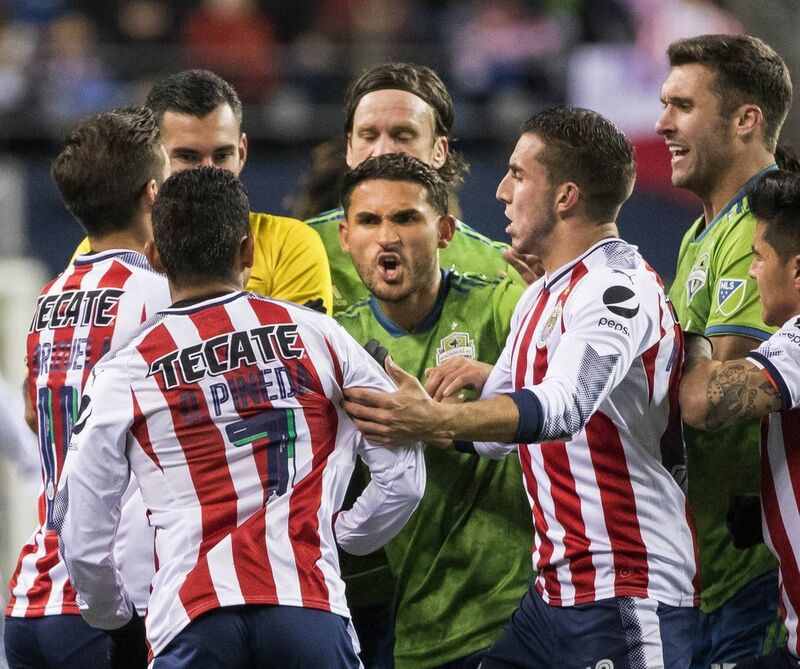 Like the Sounders at times, they’ve struggled to score during their Liga MX season and won just once in 10 tries despite a Clausura championship last year. But they proved how lethal they are by nearly capitalizing on some Sounders mistakes. Sounders goalkeeper Stefan Frei was sharp, making a point-blank stop in the 11th minute before swatting the rebound away with his hand. 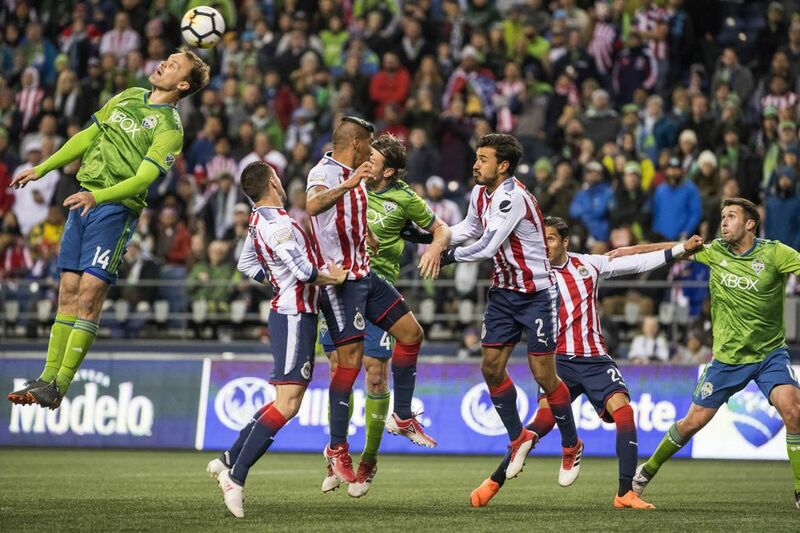 Frei’s best stop, however, came in the 33rd minute when Roman Torres fell and gave leading Chivas scorer Alan Pulido a clear-cut breakaway down the right side. But Pulido’s last touch before his shot was a bit heavy, buying Frei just enough time to race out about 10 yards to cut down the angle. Pulido’s shot went straight into Frei and deflected from harm’s way. Pulido had another chance just two minutes before Dempsey’s goal, waltzing into the box and unloading a heavy shot. 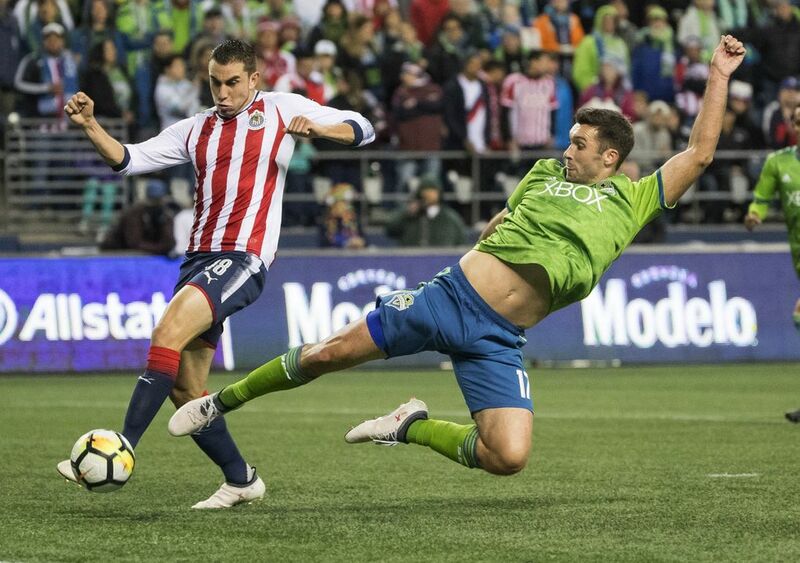 But Sounders defender Chad Marshall threw his body in front of it. 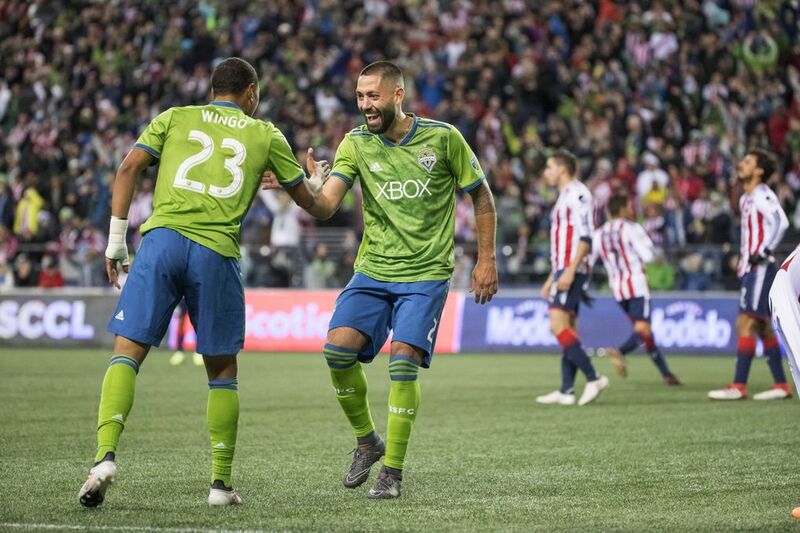 “They’re a gold side, so for us to be able to measure ourselves against such a top team is awesome,’’ Dempsey said.